JoeNow, you know I'm all for the high-tech gadgets. But seriously, it should not be this hard to do a load of laundry. 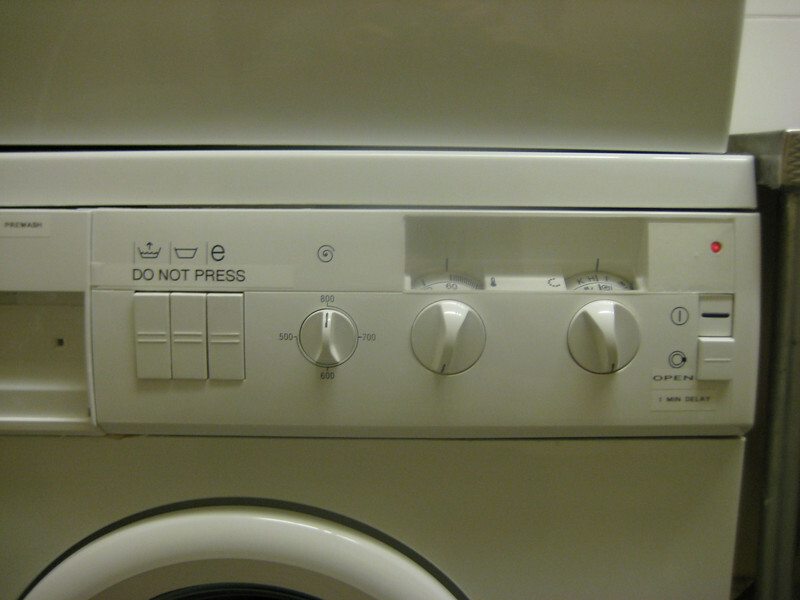 Admittedly there's lot's of knobs and buttons, all labelled with obscure international symbols for, I don't know, doing laundry during an eclipse or while stuck in a maelstrom or something. But there's an instruction manual, and it isn't all in Swedish. 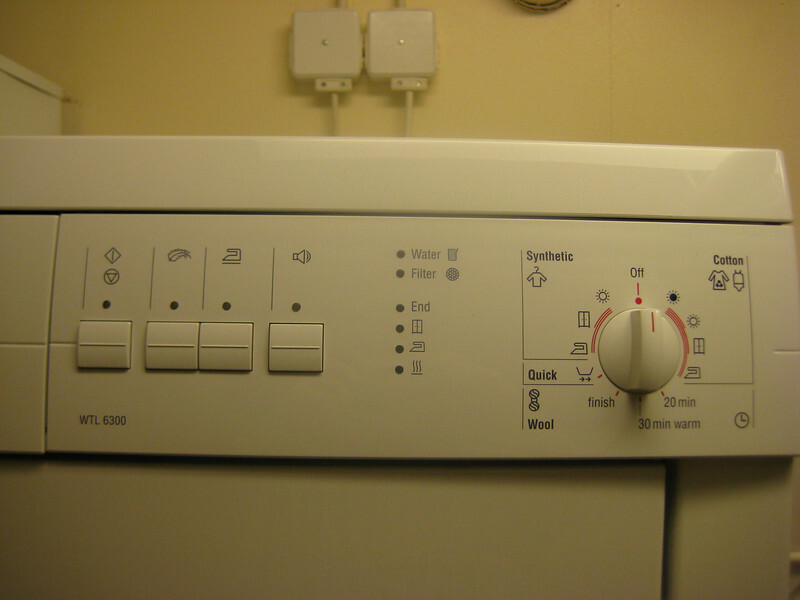 There's a copy of the English instructions in the binder to the right of it, all 28 pages of instructions for the dryer, and a half dozen not-entirely-illuminating charts for the washing machine. Plus a wall chart. And extra labels someone printed out and stuck on the machine. All of which I read. Twice. Some of it three times. The result? 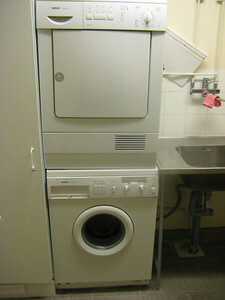 Three hours into my first putative wash cycle, I had a pile of soapy laundry resting in a pool of lukewarm water, while the machine did occasional half-hearted impersonations of a spin cycle. After I spent half an hour convincing the machine to relinquish my clothes, they sat in the dryer for another hour, which changed my cold wet clothes into hot wet clothes. I give up. I'm going to go have a sauna. Your nemesis? No way. After watching you repair, fix and make right almost everything at 01 I won't accept this. An international Toolman "challenge" perhaps? Sweden kind of thing, well sort of. This is even better than looking at trip photos after the fact. Admittedly, the second attempt at laundry went much better. Give me two years, and I'll have it licked. Unfortunately, the controls for the sauna turned out to be nearly as byzantine, and my first attempt at that failed as well. Baby steps, baby steps.